It was a privilege to present a workshop at the Australian Catholic Youth Ministry Convention 2018, held in the Diocese of Parramatta this past weekend. It was inspiring to be with youth ministers and leaders who are shaping the Church through their witness and initiative, from all sectors of the Church in Australia. Below is a summary of the workshop shared and I hope it’s of interest and encouragement in the ongoing work of renewal as we anticipate next month’s Synod on Youth. This workshop will extend the theme of ‘missionary discipleship’ to consider how youth ministry can support young people to move and grow from participation in youth ministry to exercise their discipleship as adults in broader parish and community life. If youth ministry gathers for the purpose of sending out, how can our ministries best prepare young people for that future? One of the claims of this workshop is that if we can identify the issues of our moment, and we know the destination at which we want to arrive, then this will shape the steps we can take to get there. If our purpose is sending young people out into mission, into the full life of the Church and world, then how does our youth ministry best prepare them for that future? As Pope Francis encourages, it is important to begin with a frank assessment of where we are as Church because “realities are more important than ideas” (EG 231-233; LS 110, 201). We cannot grow by holding the door closed against reality. A renewed future begins on the basis of the present. When we reflect on how best to lead young people into adult discipleship, we could reasonably ask how well our entire Church leads and makes disciples of all its members. We know that the Church is called by God to work towards the transformation of the world so that it reflects more and more of God’s Kingdom or God’s reign. This Kingdom comes about when people encounter Jesus, surrender, and make the decision to follow – when they become his disciples and go out to transform the world. However, if this is the purpose of the Church, bringing about the Kingdom and making and forming disciples, we have to admit that we are not bearing the fruit we would like to see. More and more of our people, both young and old, continue to disengage from the Church, and we acknowledge the confronting reality that in the current climate some will question if the Church has anything worthwhile to say or be less inclined to be explicit in their faith. Another challenge presents itself in our parishes. If we were to measure how many of the hundreds who receive the sacraments in our local parishes each year, pass through our sacramental life in initiation or from week to week, and emerge on the other side as missionary disciples, the result would be less than ideal. There is something amiss. Where is the fruit? The reasons for our decline have become clearer over time. At heart, we have a discipleship dilemma. When it comes to a personal and active relationship with Jesus Christ, many Catholic communities have taken a pastoral approach that assumes the sacraments will simply ‘take care of it’ and that is simply not true. We have neglected our duty to awaken in each person that active and personal faith, that fertile soil, in which the grace of the sacraments can actually take root and bear fruit. To make the point, “baptisms, confessions, weddings, funerals, daily devotions, anointing, and adoration. It’s all good stuff, it’s how some Catholics grow spiritually. For others, it’s what they do instead of grow . . . For certain, the sacraments give us grace to put us in right relationship to God and his life in our soul, nourishing and strengthening us for our discipleship walk. But they’re not mean to replace it’”. This is not to discount the centrality of the sacraments or to deny the place that devotions have in the Catholic life. But it is to say that people can be ‘sacramentalised’ without being evangelised. It is entirely possible to undertake a routine of religious custom and practice without a personal and responsive relationship to Jesus Christ. The sacraments do indeed give us the capacity to believe – the virtue of faith – but without a personal ‘yes’ – an act of faith – it remains a ‘bound’ sacrament. Like a car full of fuel, if we never turn the key or press the accelerator, we do not move forwards and we are not changed. 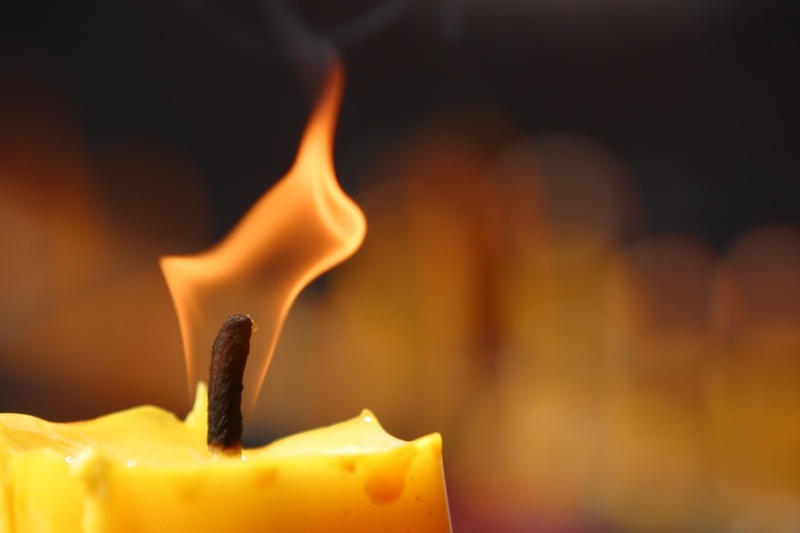 Our personal ‘yes’ is the spark which enables grace to bear real fruit in our lives. Writing of youth, John Paul II recognised this same dilemma, “A certain number of children baptised in infancy come for catechesis in the parish without receiving any other initiation into the faith and still without any explicit personal attachment to Jesus Christ; they only have the capacity to believe placed within them by Baptism and the presence of the Holy Spirit.” We know that children and youth who have no explicit personal attachment to Jesus are likely to grow up to be adults with no personal attachment to Jesus, unless that relationship is introduced into their life through a process of evangelisation. Our Catholic tradition affirms this very point – that the sacraments do not replace personal discipleship. Vatican II’s Sacrosanctum Concilium affirms that the sacraments presume a living faith amidst its people. The Catechism of the Catholic Church tells us explicitly, “The sacred liturgy does not exhaust the entire activity of the Church: it must be preceded by evangelisation, faith, and conversion”. The Second Vatican Council and the Catechism affirm the Eucharist as “the source and summit of the Christian life” (CCC 1324). When there is no Christian life, no trace or intention of Christian living, then in fact the Eucharist can be neither source nor summit of anything. Outside of the context of discipleship, the Eucharist can be reduced to an object of piety or mere consumption rather than a relationship that invites a Jesus-shaped life. Finally, Jesus himself gives us a Great Commission “Go therefore and make disciples of all nations, [and then] baptise them in the name of the Father and of the Son and of the Holy Spirit, and teach them to obey everything that I have commanded you” (Matt. 28:19). We could say that the mission of the Church is not sacraments but disciples which the sacraments nourish. Unless people become disciples, the grace of the sacraments bears little fruit. It is important to recognise that the young people in our care are already being shaped and formed by this culture of sacramental routine, marked by a lack of fruit and the gentle decline in living faith. To render this concrete, take the typical experience of a Church-attending youth. They might intuit from the pews that parish participation is declining (in fact, the total percentage of Mass attendance nears single digits across the country) and will gain a quick sense that very few of their peers attend Eucharist on any given weekend (about 5% of all aged 20-34 in fact). They would know too well that few of their peers’ families are engaging with the Church, and they may not witness many or any new people coming into the Church at Easter (perhaps a handful each year, while dozens more walk out the back door at the same time). They might recognise that while many receive the sacraments they are not seeing the fruit of a change in lives, that there is something missing and church attendance doesn’t seem to make a great difference to people’s lives. They may hear a little about the Church, history, or even morality, but they may not hear much about Jesus or hear the story of Jesus’ life shared clearly (when preaching is poor or misaligned). 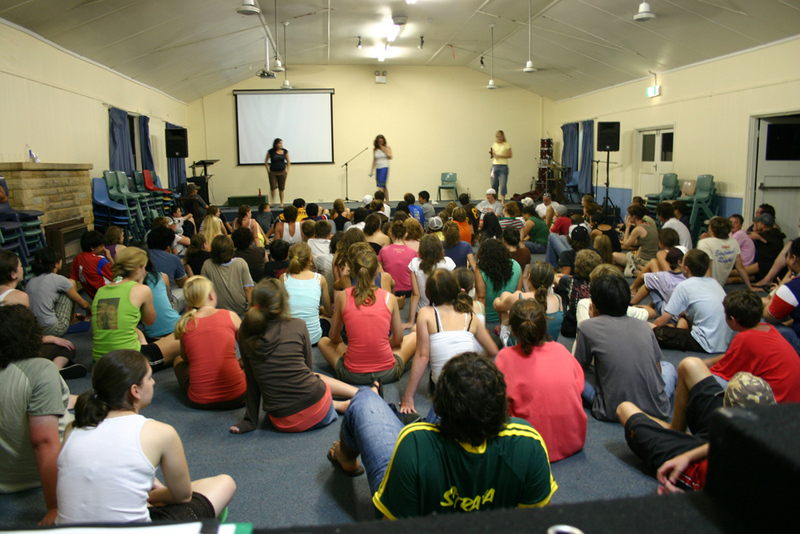 They may never have witnessed an adult actually speak about how Jesus has changed their life or heard conversations among adults about Jesus (even though a culture of testimony lies at the heart of evangelisation, for consumer churches have preferences while missionary churches have stories of how Jesus has changed their life). These are some of the basic experiences that young people may encounter in our faith communities. The risk is unless we are casting in our youth ministries an alternative vision for what adult discipleship looks like, our young people may not receive any other image of adult life in the Church and therefore be given little sense of a positive future. We have a deep sense that we are called to do more than lead young people into adult communities which show little life in themselves, repeat the outcomes or trends of decline we have experienced in past generations of Catholics in Australia. If our adult community and the cultures of our parish communities have forgotten what ‘normal’ looks like, it is the prophetic role of youth ministry to recover a new norm by equipping young people to move from a faith that can be customary, inherited or barren to a faith which is intentional (not routine), personal (not merely the faith of my family but a faith truly my own), and fruitful (there are signs of concrete change in our life for discipleship is not an invisible phenomenon, it shows up in the pigment of our life). In looking at change from one culture to another, we note that it is not the cultural norm in Catholicism to even talk about Jesus, let alone his fruit or work in our life, and those who do are viewed as Protestant or a spiritual pretender. We have forgotten what ‘normal’ looks like. Youth ministry can play a part in the gradual transformation of our Church culture, to place again a full and living discipleship to Jesus before young people, as the heart of what we do and who we are as Catholics. We can consider the radical difference that youth ministry can make to the Church in this way – via the analogy of what makes a good school. We know that a lack of academic opportunity is passed on or transmitted from generation to generation and, as such, students from lower socio-economic backgrounds often do not perform as well as they could. However, some education systems (e.g. those in Shanghai and Korea but sadly not Australia) are able to lift these students well beyond their statistical likelihood of poor academic performance, enabling these young people to perform and excel at their full potential. Quite simply, good schools and teachers make a difference to the capacities and lives of their students. They can break the cycle of ignorance and disadvantage. 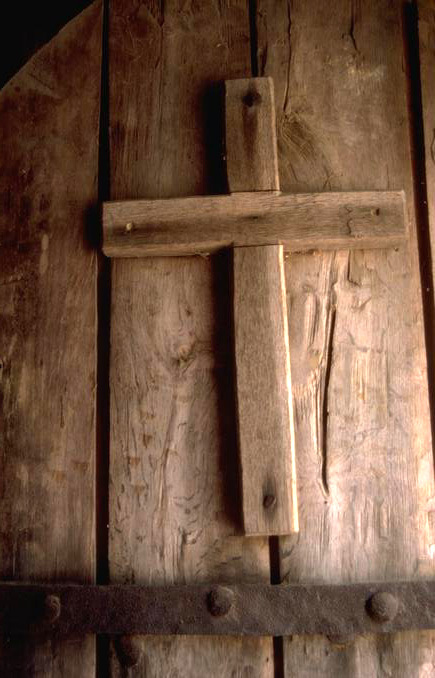 In a similar way, we know that ignorance of the faith is passed on or transmitted from generation to generation, and that many of our people start their journey in the Church ‘disadvantaged’ by low religious literacy and low or no commitment to practice, including little enthusiasm for sacrificial discipleship or evangelisation of others. The aim of good parishes, schools and youth ministries is to lift people out of this religious rut and support them to grow in faith and discipleship above and beyond what their background might have equipped them for. If our communities are not equipping our young people for living discipleship, then perhaps it is our ministry that can make that difference. I wanted to start on the note of realism, with recognition of what we are sending our young people into, and a note of possibility of what youth ministry can do within the wider life of the Church and within a Catholic culture desperately in need of renewal. Having named the discipleship dilemma in our wider Church, which impacts upon the future of young people in faith, we now turn to focus on the reality of youth ministry itself. What is the status quo or state of play in youth ministry today? Some of the significant dilemmas we are confronting include a ‘drop off’ after a time in parish groups and during senior high school among youth. For young adults, the decline in participation can set in during the post-school years, in the years of university or the first years of work. We sense that many of those aged between 25-35 years are being lost to the Church’s life, and other young adults are left hungry and even look back to youth ministry to serve their needs after the age of 30. These real experiences expose a gap and need in our approach to youth ministry, with many asking, ‘to whom shall we go?’ As it stands, we see young adults graduate from youth groups, a small number emerge as spiritual entrepreneurs who have learned to fend for themselves, but many more become ‘lost’ or drifters within the life of the Church, and a silent majority of young adults, I fear, slip into the routine culture of the crowd or disappear from the life of the Church altogether. Young people will continue to leave the scene as groups dwindle and their social support fades in the Church, or they will ‘hang on’ to their youth experience for dear life and risk a sort of extended adolescence well into their thirties with the crisis of vocation that can accompany being lost. If people are feeling lost in their thirties, it is saying something about how we are or are not preparing young people in youth ministry for a lasting life of faith. What is it about youth ministries that can lead to the disengaged, unchurched and the lost? We have an opportunity to make a real difference with those we do encounter but we do not always quite hit the mark. Some of the limited outcomes we see in youth ministry can be related to the purpose for which they exist. Take these four examples, keeping in view that a problem well recognised is a problem half solved. The social but not spiritual group. There will be youth groups that exist for their own social value and are perhaps more an exercise in demography rather than discipleship. The parish decides it is good to have a youth group or a school a new youth team of sorts, so they establish one and the community feels better for it because we are ‘doing something for youth’. In short, the group exists for its own sake rather than for others. It will inevitably become insular, cliquey and decline, rather than outreach and grow, operating from a consumption model (‘this group is about me’) rather than of outreach and apostolic intent. It can often be marked by a sense that if the group gets any larger they will lose their intimate sense of community. The members do not intentionally reject ‘new’ people, but their present relationships are so intimate that any newcomer can find it difficult to break into the group. Especially when small, these social groups can stunt personal growth rather than enable it, especially if a group is populated with young people with nowhere else to go. Of course, the Church is there for all people, most especially the poor in spirit and circumstance, but if youth groups or ministries are not as broad and refective as the surrounding community, it can serve as a refuge from the world rather than a launching pad for faith in the world. Youth groups as a retention strategy. Sometimes groups can be formed or used as a remedy for the declining participation that takes place after the sacraments of initiation. After all, who doesn’t want to ‘keep the kids in church’. However, such group can have short futures as they will tend to focus on behaviour modification (turning up to Mass or staying in Church) rather than discipleship. What they do not realise is that when people become disciples – encounter Jesus, surrender their life to him, and make the decision to follow – they will go to Mass for the rest of their lives. We want people to fall in love, not merely fall in line. If a group is simply about retaining members, then youth leaders will need to constantly come up with new and gimmicky ideas to retain the current membership and ‘get them to Mass’ but never address the deeper ‘why’ that might sustain them for a lifetime of faith. Groups that are established or see themselves merely as a retention strategy aim for the short-term but are unable to take the longer view with the usual outcomes of steady decline as the novelties and techniques wear thin. Youth ministry as catechesis. Another reality for youth ministry can be an exclusive focus on catechesis, on teaching young people the facts about Catholicism and learning content, even when young people may not have a relationship with Jesus (i.e. have not even been evangelised). When we think about the word ‘catechesis’ itself (κατήχησις) as it is found in the Gospel of Luke 1:4, 1 Corinthians 14:19 and Galatians 6:6 it means ‘to sound out’ or to ‘echo the teaching’. It is like standing at the entrance of a cave and speaking out and hearing a voice coming back. When we catechise young people, we are speaking into their lives. We are giving them faith and knowledge, and what we seek is for that faith and knowledge to resound back, echo back upon its reception. However, the only way we can hear an echo is if there is a cave, if there is a space to speak into. If we were to run out and shout at a brick wall, we are not going to hear an echo as there is no space to absorb and reverberate what is being shared. So, we need to bring people to a living and transformative encounter with Jesus first, to create space within them for the Gospel, before we can teach or learning can take place. It has been pointed out that in the history of our Church, we have so often confused indifference with ignorance. People often do not care, have no space for the Gospel, but we think they simply do not have enough information so we catechise them and yet we wonder why nothing is sinking in. It is like trying to plant seeds in concrete! If we continue to prepare and form young people in this same way – only catechise – then we will continue to arrive at the same results, with young people unprepared for a life of adult faith because we never evangelised, made and formed them as disciples. Finally, youth ministry as a process of duplicating groups. One other response to the disengagement of young adults from the Church we can see is the simple duplication of the same youth groups and structures for an older cohort. However, the question then is ‘where should that process end?’ Should we have groups for those aged 30-35 and then for those 40-45 years of age or would we presume and prepare at some stage their integration and leadership in the wider Christian community? We can see how some of the outcomes we are seeing in youth ministry with drop off or disengagement can be shaped by our starting points or understanding of what our purpose is as a ministry of the Church. All these four models or tendencies within youth ministries miss the mark, which is to make disciples who have encountered, surrendered and made the decision of faith. More positively, if we do make disciples of young people, they will naturally yearn to be with other Christians (be social), they will live their life within the Church, even through thick and thin, because of their personal relationship and love of Jesus (they will be retained), they will be open to learning (catechesis) and be sustained as adults in older years with a genuine heart for Christ (experience spiritual conviction, not simply repeat behaviours). However, if we begin with other starting points, we cannot expect to see the fruit we are called to bring to life. Moving forwards then, how might we make and form disciples, so they can graduate from youth groups and experience genuine personal and spiritual change that will last? 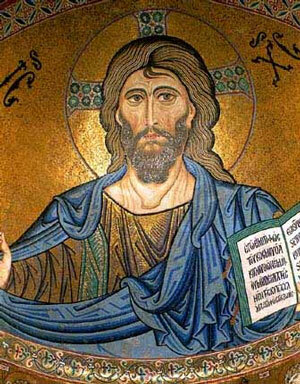 Jesus invites us, through his command to Peter, “to go and bear fruit that will last” (John 15:16). As shared earlier, I think our youth ministries can create a new path and be the change and difference that our wider Church so sorely needs. We can see the difference youth ministries can be through what are called ‘Berkana loops’ which are simply a helpful companion in thinking through how change and growth come about. When our youth ministries first get off the ground, we can enjoy growth and excitement as the life cycle begins. Our group can be thriving, and we are good stewards of this growth. However, at some point things in the group can begin to plateau, perhaps because we have become comfortable and established, or we are not gaining new members or enthusiasm begins to wane. We start to lose significance or momentum. When things begin to decline, we enter a ‘hospice’ stage where we are caring for a group in decline. However, as things plateau, there are some who see what is going on and what is not working, they might see what is lacking through a sort of ‘holy discontent’, and can begin to ask questions about impact or methods, and they begin to think of a new way forward. They recognise that God’s mission is greater than our existing methods which are no longer bearing fruit as they might have at other times. These innovators might feel isolated in their hunger for a new form of engaging young people until they connect with others who have discerned a similar hunger, need or possibility. Now a network of innovators emerges, and they begin connecting on a regular basis. 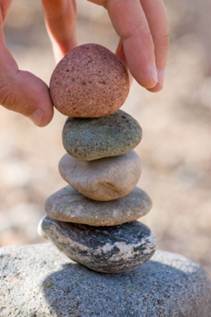 They begin to take action and become a community of practice, as a new possibility continues to emerge and build. With time, space, resources, expertise or by building new skills a new reality and a new way of mission or outreach comes into being. There will be some stewards of youth ministry who are called to ‘sit by the bedside’ and accompany youth groups to their end, perhaps because that is their charism or they do not quite muster the courage or imagination to change and adapt. Sometimes youth ministries do have their time and naturally come to their end. However, others might make the transition from an old to a new way of doing things which has been led and created by others. When we recognise what is missing in our wider Church and some of our youth ministry – a focus on discipleship – we can put those missing pieces in place with the young people in our care. So, how do we raise discipleship among new generations that will last into adulthood? Firstly, our own witness is essential. 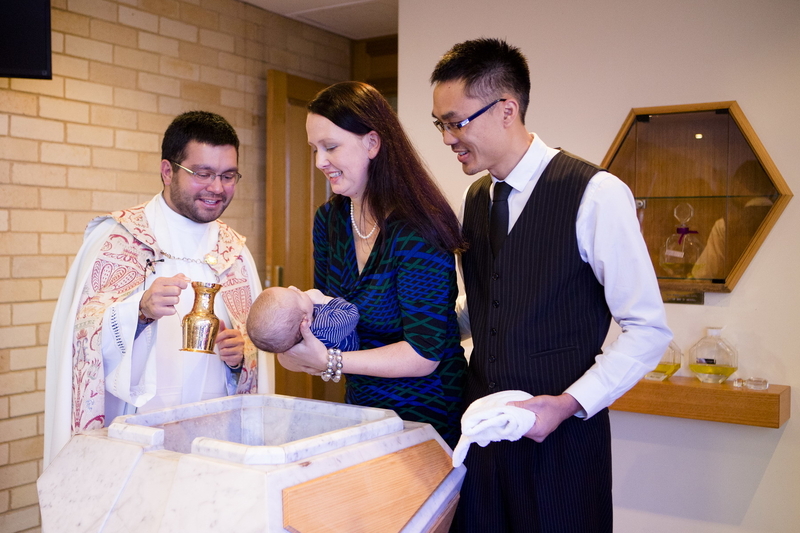 Our witness demonstrates what a new life in Christ looks like. If our own Church attendance and involvement in the life of the Church does make a difference in how we live, if we are actively learning a style of life steered by love, it provokes a response from the young people in our care and opens a path of curiosity, trust and dialogue. It is important to underscore that it is not our youth programs that make disciples; it is disciples that make disciples. Courses, programs and materials are only as good as the people using them. Without disciples to run a program, they do little good. It is not that we do not appreciate good materials. However, as it has been said, in the history of the life of the Church we did not have good materials. We had people. We had disciples making disciples. Right now, due to a lack of disciples, we may need the materials as a kind of crutch but we need to be careful about allowing them to replace the relationships. Our witness enables us to then credibly proclaim the Gospel, most centrally the kerygma which is the kernel of the Gospel that centres on Jesus’ life, death and resurrection. The kerygma refers to the basic truths of our Christian faith, the core message of the Christian faith to which all believers are called to assent and proclaim. Pope Paul VI declared, “There is no true evangelisation if the name, the teaching, the life, the promises, the Kingdom and the mystery of Jesus of Nazareth, the Son of God are not proclaimed”. This is the kerygma. It is explicit and focused entirely on the person and saving message of Jesus Christ. We have to tell this Great Story of Jesus if it is to be known. The heart of evangelisation in youth ministry is to announce who Jesus is, the Son of God, the Word made flesh, the man who is God, who died for our sins and was raised on the third day. It is to announce the Good News of the Risen Christ who is with us even now and opens up for us the way to life without end. Evangelising youth ministries proclaim Jesus’ ascension, his seating at the right hand of the Father as King, and his sending forth of the Holy Spirit. It is this Spirit which reveals Christ and even enables us to say ‘Jesus is Lord’ and it is this Spirit who empowers the Church, who empowers us, to be faithful to Christ’s mission in our own lives and in this moment of the world’s history. Ultimately, this Good News of Christ calls us to conversion, to repent and believe in this Gospel, calling for a change of life in the light of what God has done and is doing in Jesus Christ whose life we share by baptism, the anointing of the Holy Spirit, in communion with his mystical body in the Eucharist, and by our communion with His body, the Church. We are called to bring young people to a transformational encounter with this Jesus, connecting his story with our life. Again, the power of our initial witness and then proclamation has a lot to do with our own transformation and encounter, our own conversion. Pope Francis notes, “A true missionary who never ceases to be a disciple, knows that Jesus walks with him, speaks to him, breathes with him, works with him. He senses Jesus alive with him, in the midst of his missionary enterprise… a person who is not convinced, enthusiastic, certain, and in love, will convince nobody”. Hence, how are you telling the Great Story of Jesus in your ministry? We are called to share that Jesus’ mission was to bring about the Kingdom marked by abundance and that we, as his disciples, are called to do the same, bringing the world’s limitation to divine possibility, that is, to the fullness of life (John 10:10). This is the kind of vision of discipleship we need to proclaim. The American author Sherry Weddell remarks that if nobody talks about what discipleship looks like, it becomes difficult for people to begin to walk on that road, “Unfortunately, most of us are not spiritual geniuses. If nobody around us ever talks about a given idea, we are no more likely to think of it spontaneously than we are to suddenly invent a new primary colour. To the extent we don’t talk explicitly with one another about discipleship, we make it very, very difficult for most Catholics to think about discipleship”. It is difficult to believe in and live something that you have never heard anyone talk about or that you have seen very others, including older adults, live with joy. We must witness, tell the story of Jesus, and cast a vision of discipleship, of personal and spiritual change, as the ultimate fruit of all other gifts in the Church, including the sacraments and our ministries to the young. In casting that vision of discipleship we need to be committed and resolute because other understandings of youth ministry can be cast at us (e.g. youth ministry as the social group, the retention strategy, as catechesis or duplication). A great example of resoluteness in holding and living our vision is illustrated by SouthWest Airlines, a low-fare carrier in the U.S. that seeks to ‘democratise’ air travel. Humour is a core dimension of its vision (e.g. the on-board announcements, “Would someone put out the cat?”; “We will be serving dinner on this flight and dessert if everyone behaves themselves”). Nevertheless, the airline received a complaint about their style, from a customer who regarded it as unprofessional and improper for an airline company. On receipt of a complaint, we could probably assume the line of management that would follow (i.e. a letter comes into the central office, the director of customer service rings the branch manager and asks them to ‘tone it down’, before sending the customer some form of compensation e.g. a meal voucher or a free fare). However, Southwest Airlines did not do this. Instead, they sent this customer a short letter with just four words on it. It read: “We will miss you.” The airline does not compromise on its vision and stands by the fact that there are many other uninteresting and boring airlines that customers are well free to choose. So it is with us in our vision of discipleship – it is the very reason for which the entire Church exists, is non-negotiable, and is that image of life that will support the young to live their faith into adulthood, as they come to know themselves as witnesses to the reign or Kingdom of God. A further step in accompaniment of the young must be to assist them to actually live in that direction. Take for example the rich young man who encounters Jesus. It is not enough for this young man to meet Jesus, but he is then invited to sell all that he has – in other words to start living in the right direction (Mk 10:17-31). We can learn this principle also from the gift of marriage. We can encounter another person, get to know them, and even develop a personal relationship with them. However, to be married someone has to make the decision to ask and a decision to say ‘yes’. It is the same for discipleship – we are called to assist young people to make decisions that set them in the right direction. After all, we are all going somewhere, whether we know it or not, and will arrive at a destination in life. The road that we are currently on will lead to a destination, and we generally do not drift in good directions. There are physical paths that lead to predictable locations, and physical roads and physical highways that lead to predictable destinations. There is a dietary path that leads to a predictably physical destination. There are financial paths that lead to predictable financial destinations. There are relationship paths that lead to predictable relational destinations. In fact, parents often ask their children questions about who they are dating for this reason. They are not so interested in whether their child is happy in the relationship now (though they hope they are). They are more interested where that relationship will take their child, whether that relationship will take them in the right direction. As you know for the young people in your care they can in fact be completely content and satisfied and still be heading in the wrong direction. It is akin to driving on the road. You can be perfectly content in the car but become lost and you never know the precise moment you became lost, otherwise you would not have taken that turn. You can be a hundred metres past where you need to be and by the time you realise it, it is too late. It can cost you ten minutes. In life, if you are content but headed in the wrong direction and don’t know it, it can cost you years. It is often our nature to think ‘now is now’ and ‘later is later’ but everything we do has a consequence and will be connected. Biblically speaking, we reap what we sow. All our steps lead somewhere, so what we do everyday matters more than what we do once in a while when it comes to our ultimate direction in life. The poet Gerard Manly Hopkins developed this term ‘inscape’ for the individual structure of a living being (like a tree or a leaf), an inner structure which results from the history of this being, an inner design made by the tree through its life in the way it has responded to life. We are much the same, our life is a work of art and all the good and the bad, conflicts and sufferings, troubles and happiness in our life all add up to something, all produce this inner structure, and this is what we are judged on, our encounter with Jesus and the direction that we chose to live. We are judged not on small incidentals (eating meat on Fridays) but rather the whole structure of our life – all that we wanted to do, tried to do, our relationships. This all adds up to our identity which God knows. Hence the value of youth ministers as spiritual guides who can help the next generation to be in touch with the whole direction and meaning of their life as a whole, what it is all adding up to and to encourage them to develop in this direction and not another. We need, in fact, to develop an intentional culture of mentorship if young people are to grow and make decisions on the way to a lasting and adult faith. Why do young people need you as a mentor? Part of the reason is because experience is a rough teacher and it costs time. As shared by a Christian evangelist, Andy Stanley, ‘Perhaps you’ve heard someone make the argument that experience is the best teacher. That may be true, but that’s only half the truth. Experience is often a brutal teacher. Experience eats up your most valuable commodity: time. Learning from experience can eat up years. It can steal an entire stage of life. Experience can leave scars, inescapable memories, and regret. Sure, we all live and learn. But living and learning don’t erase regret. And regret is more than memory. It is more than cerebral. It’s emotional. Regret has the potential to create powerful emotions – emotions with the potential to drive a person right back to the behaviour that created the regret to begin with. If regret can be avoided, it should be’. Life will throw enough hardship at us by itself. We can avoid unnecessary pain and regret by learning from the experience of others. We need to reach back to those a stage of life behind us and make it easier for that next generation to encounter Christ and to live for him because people develop best when they see what their value being lived out in other Christians. We know hypocrisy discourages faith and good witness raises it up. In creating that culture, I also want to invite youth ministers not to underestimate their capacity to be a spiritual mentor for others, regardless of their age or history. As a Carthusian monk once penned, our years of age tell us only this, “that the earth has gone around the sun so many times since I came into this world. That is the normal measure of what the world calls time.” However, there is another ‘age’ which is measured by the time we have spent in the life of Christ, the spiritual growth and progress we have made in our time of faith. The mentorship of youth ministers for young people in their care honours our Christian faith as nothing less than a life being passed on, for our tradition of witness is ‘hand clasping hands stretching back in time until they hold the hand of Jesus who holds the hand of God’. “The young people of the Pre-synodal Meeting accurately detail the profile of the mentor: ‘a faithful Christian who engages with the Church and the world; someone who constantly seeks holiness; is a confidant without judgement; actively listens to the needs of young people and responds in kind; is deeply loving and self-aware; acknowledges their limits and knows the joys and sorrows of the spiritual journey’. For young people, it is particularly important that mentors recognise their own humanity and fallibility: ‘Sometimes mentors are put on a pedestal, and when they fall, the devastation may impact young people’s abilities to continue to engage with the Church’. They also add that ‘mentors should not lead young people as passive followers, but walk alongside them, allowing them to be active participants in the journey. They should respect the freedom that comes with a young person’s process of discernment and equip them with tools to do so effectively. Mentors should believe wholeheartedly in a young person’s ability to participate in the life of the Church. They should nurture the seeds of faith in young people, without expecting to immediately see the fruits of the work of the Holy Spirit. This role is not and cannot be limited to priests and religious, but the laity should also be empowered to take on such a role. All such mentors should benefit from being well-formed, and engage in ongoing formation”. While it can appear that we are looking for ‘Jesus on a good day’, all of us can bring something of our imperfect selves and the treasure of our life and experiences of the world to those in our care. However, if we are going to support young people to healthily progress through youth groups and to become adult disciples, we will also need adult or older mentors in the lives of young people. As we shared, if a young person never sees or hears an adult talk about their relationship with Jesus, how would they know this relationship is even possible? As noted by Everett Fritz, we want young people to learn to participate in the world of adults, but our youth culture has largely removed adults from mentoring roles with teenagers. “As a result, teens are growing up in a peer-dominated culture. As they grow into adulthood, they have difficulty assimilating into the adult world and into the responsibilities and expectations that come with being an adult.” While peer to peer ministry has its place, in clarifying our life direction, we should not only seek advice from people who share the same season of life, because it is akin to asking for directions of someone who has never been where you want to go. We have a rich biblical tradition of older mentors investing in younger mentees including Moses and Joshua, Elijah and Elisha, Paul and Timothy and Titus, and Jesus and his disciples. Adults bring a unique blend of experiences, insights, conflict, choices, health challenges, convictions, and even failures and struggles to believe. Having adult mentors and witnesses in the midst of youth ministry, and a variety of adults, is essential if talk of discipleship and the Church is going to be meaningful in real-life ways. As it has been said, our faith is ever one generation away from its silence if it is not passed on, from one generation to the next. How might we better prepare young people for adult discipleship in our age? We can begin to acknowledge the discipleship dilemma we are experiencing as a Church, seek to create and innovate a new way with others that learns from these limitations, provide a living witness to a life in Christ wholly given over and surrendered, proclaim the Great Story of Jesus, cast a vision of the discipleship he asks of us, accompany young people to live in that direction, and include mentors, both peers and adults, in the normal practice of youth ministry. I propose that it is these foundations, applied to local contexts, that can resource young people to live a Christian life beyond the confines of youth ministry, to grow into adult disciples and agents of renewal in our Church. Fr Michael White and Tom Corcoran, Rebuilt: Awakening the Faithful, Reaching the Lost, Making Church Matter (Ave Maria Press: Notre Dame, Indiana, 2013), 77. John Paul II, Catechesi Tradendae 19. Vatican II, Sacrosanctum Concilium 59. Catechism of the Catholic Church #1072. Robert Dixon, Stephen Reid and Marilyn Chee, Mass Attendance in Australia: A Critical Moment. A Report Based on the National Count of Attendance, the National Church Life Survey and the Australian Census (Melbourne: ACBC Pastoral Research Office, 2013), 2-3. Cf. Sherry Weddell, Forming Intentional Disciples (Our Sunday Visitor: Huntington, Indiana, 2012), 63. Pope Francis, Evangelii Gaudium 266. Weddell, Forming Intentional Disciples, 56. A disciple can be defined as one who has encountered Jesus, surrendered their life, and made the decision to follow, or be understood by its expression as provided by Fr James Mallon, as one who has a personal relationship with Jesus, shares faith with others, is open to the gift of the Holy Spirit, has a daily prayer life, with commitment to Eucharist and Reconciliation, can pray spontaneously out loud when asked, and sees their life as a mission field. Cf. Fr James Mallon, Divine Renovation Guidebook: A Step-by-Step Manual for Transforming Your Parish (Novalis: Toronto, Ontario, 2016), 159. A Carthusian, They Speak by Silences (London: Darton, Longman & Todd, 1955), 38-9. 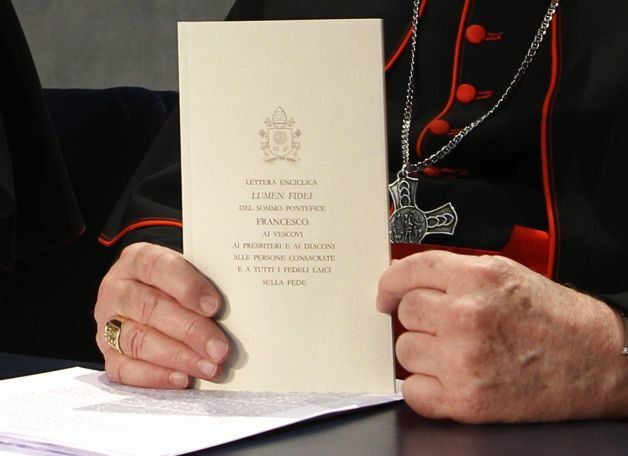 Instrumentum Laboris for Synod 2018, 132. Everett Fritz, The Art of Forming Young Disciples: Why Youth Ministries Aren’t Working and What to Do About It (Sophia Institute Press: Manchester, New Hampshire, 2018), 46. This week I was pleased to join the ACBC Commission for Church Ministry to address leaders of lay movements from across the country on the possibilities and challenges evoked by Pope Francis’ apostolic exhortation, Evangelii Gaudium. 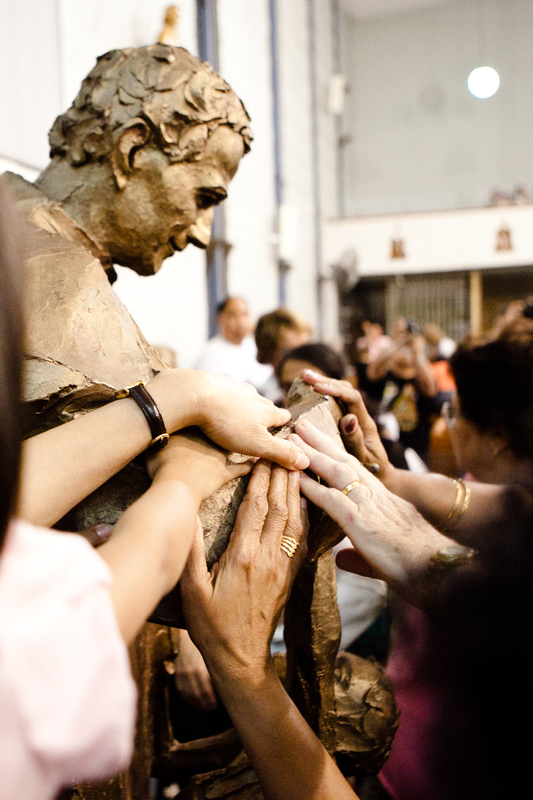 Movements that were in attendance included Catholic Charismatic Renewal, the Focolare Movement, Antioch, the Cursillo Movement, Lay Carmelites, and the Mariana Community among others. Pope Francis’ first apostolic exhortation has already been well covered by commentators, various conferences and symposiums so I will only share in this post some of the broader issues that were raised with the movements, a form of Christian community in which many find a compelling charism and new forms of spiritual living. Ecclesial movements, which are predominantly but not exclusively lay in membership, have been one of the outstanding developments in the life of the Church in the twentieth century and may well present as a significant form of Christian community in the decades to come if they are able to align themselves for growth in a changing ecclesial situation. After outlining some very real challenges for parishes in the Australian context – including but not limited to diminishing Mass attendance, the age of attenders and absence of youth, our dependence on Catholic migrants for their vitality, and the reality of low participation rates among second generation Australians, that is, the children of these migrants – I went on to contrast the Australian Church to the American and European situation. The parallels between the Australian and American contexts are stronger than what might first be assumed. In both countries, the Catholic Church established itself within a predominantly Protestant settlement that was the result of British colonisation and saw the oppression of an indigenous population. The Catholic Church then thrived in each nation through the development of parallel infrastructure to the State (e.g. schools and hospitals) and grew with subsequent waves of migration. Both countries have large rural contexts which can be sparsely populated and are shaping the exercise of pastoral ministry in the Church; both have seen increasing structural change in Catholic parishes and dioceses over the last decades, have been impacted by the scandal of abuse crises, and are experiencing increasing disaffiliation with religion and Catholicism in particular (the disaffiliation rate in Australia is around 20,000 people a year, 20,000 who choose no longer to identify as ‘Catholic’ at all). However, one significant difference I would suggest is that the development of ministry in the United States is two to three decades ahead of the Australian Church. 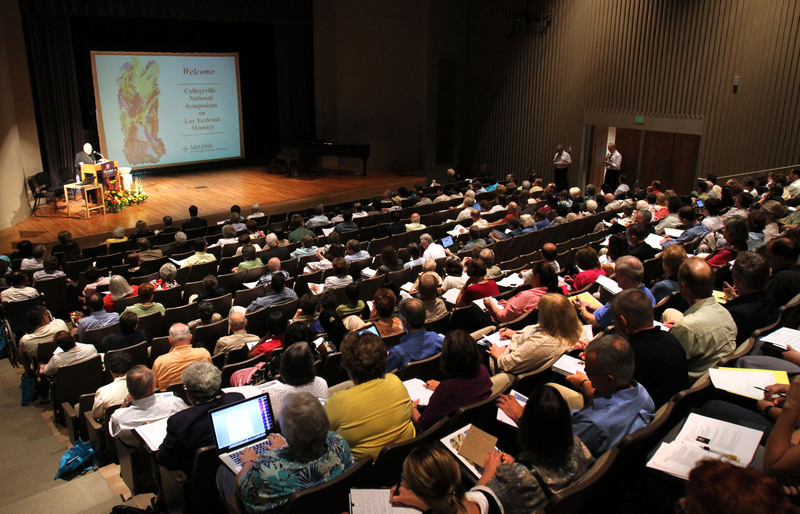 While there has been significant institutional support for the development of lay leadership in the U.S., including the emergence and training of pastoral life coordinators/directors in parishes and specific theological treatment of lay ecclesial ministry in the USCCB’s Co-Workers in the Vineyard of the Lord, as well as strong growth in the diaconate – the U.S. has some 15,000 active deacons serving 17,000 parishes – the Australian Church is yet to make significant forays into these possibilities. The result is that the American Church is some twenty years ahead in the development of ecclesial ministries which has buoyed the life of their parishes while the Australian Church is some twenty years further down the track in terms of decline, with an attendance rate that makes the U.S. weekly participation rate of 30% seem (almost) a success. The European story also differs from the American one. Parishes are largely moribund in Europe and this has explained to a great degree the growth of the ecclesial movements which have flourished ever since the Second World War. Many of these groups owe their existence to the well of lay participation in the Church initially fostered by Catholic Action and then given further energy and legitimisation by the Second Vatican Council and then the pontificate of John Paul II. Bottom line? With the development of lay ministry and the diaconate lagging in the Australian Church and our parishes in a more immediately dire position than in the U.S., our future may look decidedly more European than American with the upshot that lay movements will find only greater opportunities for growth and perhaps stronger official backing in the years ahead. Unless there is an unprecedented influx of Catholic migrants into Australia or the development of lay ecclesial ministry surges forward with programs of training and formation, all of which demands funding and organisation, our parishes will continue to experience decline and in some cases their very existence will be at risk, opening up possibilities for other forms of Christian community which the ecclesial movements represent. You can read my more detailed reflections on the pros and cons of such a scenario, growing ecclesial movements in the midst of the local church, in this article written for Compass Theological Review. It is no secret that whenever popes address the movements they raise the risks of spiritual elitism, separation from parish communities and the real challenge of inculturating their charism and service in contexts which may vary from their places of origin. 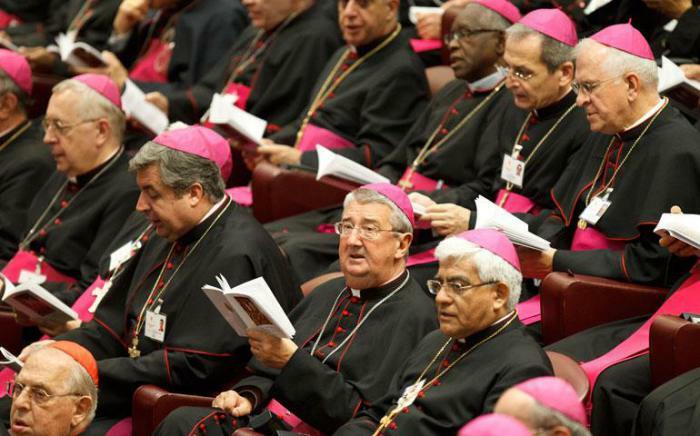 If they are to flourish, movements will need to mature in their ecclesial integration. [These charisms] are not an inheritance, safely secured and entrusted to a small group for safe-keeping; rather they are gifts of the Spirit integrated into the body of the Church, drawn to the centre which is Christ and then channelled into an evangelising impulse (Evangelii Gaudium 130). A further point that was made at the ACBC gathering was that movements have arisen out of specific historical circumstances that have required a Christian response and therefore movements are no strangers to a world-engaging mission that connects creation with redemption, nature with grace, and the historical with the transcendent. 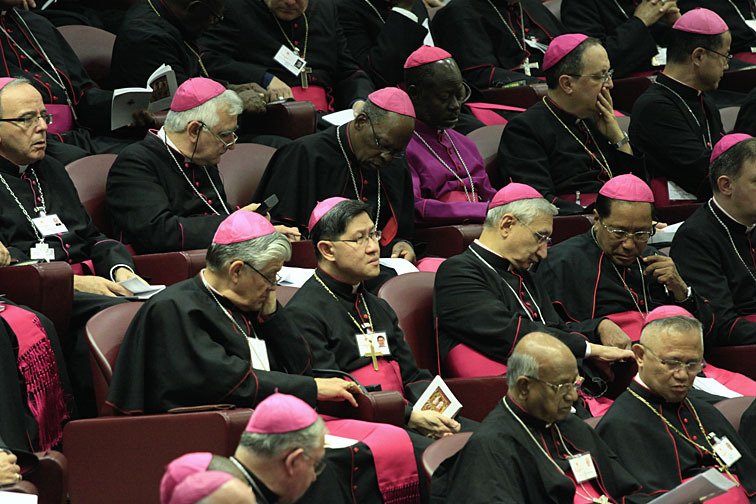 If the movements are able to adapt and carry their original charism or genius into social and cultural circumstances that are altogether new, these movements can well support the Church in preparing laity to take their place in the contemporary world as disciples, in that world-transforming mission which Pope Francis promotes with urgency. Unsurprisingly, many ecclesial movements emerged in the wake of the world wars and crises of the twentieth century, calamities which saw not only an uncharacteristic surge in priestly and religious vocations but new forms of lay association as well. For example, the Focolare Movement emerged from service to the poor and deprived in the bomb shelters of post-war Italy, while closer to home the Knights of the Southern Cross finds its origins in the struggle to ensure Australian Catholics had access to jobs and were free from discrimination on return from the First World War. Lay movements may be especially well placed to offer appropriate resources, a life of prayer and programs of lay formation directed toward Christian engagement with the world because they themselves have arisen in response to specific needs and hungers in human society and culture. I also recommended that lay movements, who are rapidly ageing as are our committed Mass attenders, explore creative forms of collaboration with dioceses and with one another in order that their charism or spiritual vision can extend beyond the one or two generations of leaders which have sustained their groups to date. It is a truism that institution without charism grows weary and mundane while charism without institution and structure risks eccentricity or parochialism. 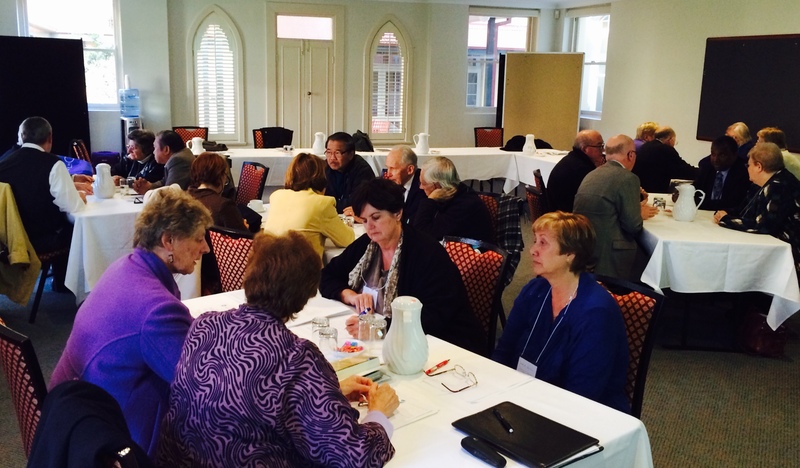 Lay movements can work together with dioceses and provide much needed inspiration and creative forms of spiritual living while dioceses can support movements in their access to parishes which remain, notwithstanding the reality of decline, the experience of the Church for the vast majority of Australian Catholics. 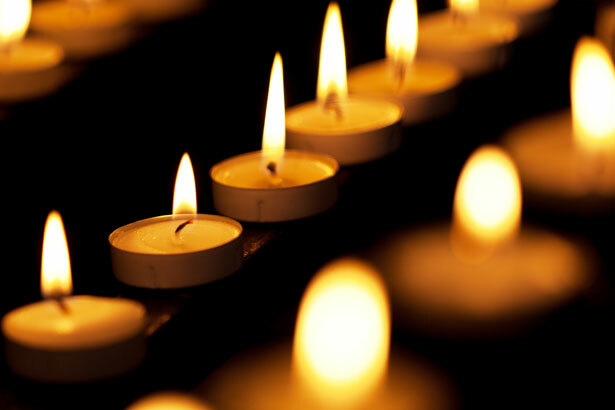 It is true that some movements have gained a reputation for drawing members away from local parishes, especially when they insist on celebrating separate liturgies or else absolutise their own spiritual experience to the exclusion of others forms of Christian life and prayer. However, in my experience, many members of movements, including Catholic Charismatic Renewal for one, have assumed leading roles in parish life and ministry and can be particularly effective in their outreach to those who are on the margins of faith. As Pope Francis himself underscores, it is a sign of great hope when lay associations and movements ‘actively participate in the Church’s overall pastoral efforts’ (Evangelii Gaudium 105), an opportunity which I sense will only grow in the Australian Church. To conclude, the insufficiencies and unclaimed potential of the present will suggest, in its prophetic utterance, the ‘more’ of the future for the Australian Church. The movements may well take their place in that future with the dynamism, practical intelligence and spiritual gifts of their past. Let us move towards that new possibility with a spirit and the confidence of joy. Note to readers: For those interested in learning more about the ecclesial movements, their development and implications for the Church, read David Ranson’s Between the ‘Mysticism of Politics’ and the ‘Politics of Mysticism’: Interpreting New Pathways of Holiness within the Roman Catholic Tradition (Adelaide: ATF Press, 2013) or an upcoming publication by Massimo Faggioli, Sorting Out Catholicism. A Brief History of the New Ecclesial Movements (Collegeville, MN: Liturgical Press, 2014). 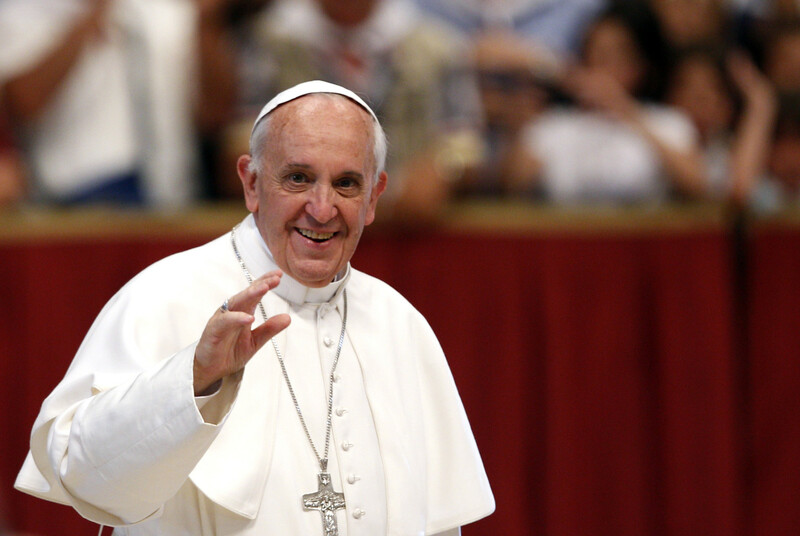 The first apostolic exhortation from Pope Francis, Evangelii Gaudium, “The Joy of the Gospel”, was published late last month. It received an overwhelmingly positive reception in the Church and beyond (with the notable exception of some U.S. Republicans and Fox News commentators for its commentary on market economics). 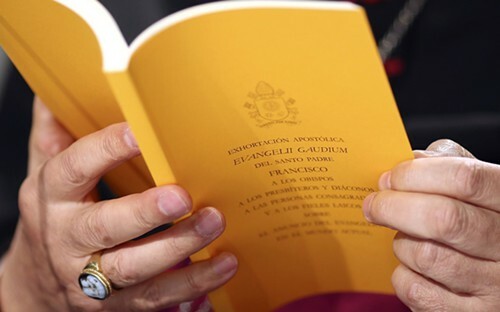 In my view, Evangelii Gaudium could emerge as a document more ‘programmatic’ for Church renewal than Novo Millennio Ineunte (2001) which has been a foundational document for those involved in Church planning and adult education. 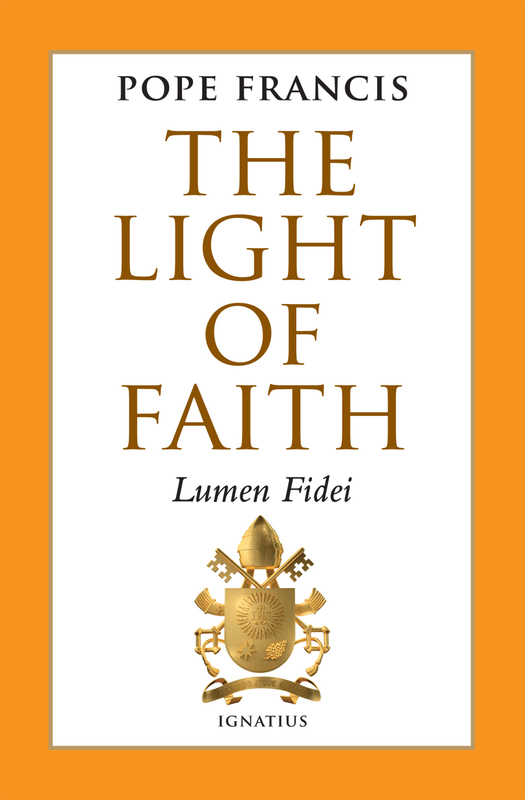 Summaries and analysis of Francis’ exhortation are available through various websites and blogs, including America, the National Catholic Reporter, and the ABC (Austin Ivereigh). Rather than rehearse the content of Evangelii Gaudium, which others have done superbly, I will simply make a few comments on the document through the lens of pastoral planning for Catholic dioceses and parishes. 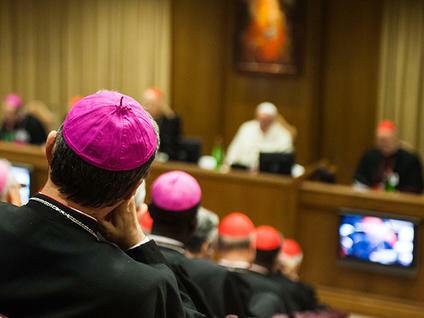 In providing a compelling vision for the contemporary Church Francis’ document is not intended to serve as a simple instruction manual or a blunt recipe for success but remains a work of theology proper, mediating the tradition in the present with a view to the future of the Church’s mission. Nevertheless, the implications for planning are striking. In all probability, it was Erasmus (a Catholic Dutch theologian) who first inserted into our language the derived term ‘to evangelise,’ to designate what he considered to be a form of Lutheran fanaticism (Fisichella, The New Evangelisation: Responding to the Challenge of Indifference, 17). 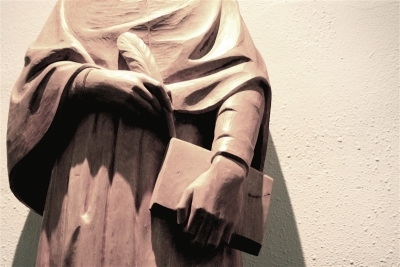 In other words, ‘evangelise’ was understood by Catholic minds in the wake of the Reformation in a largely pejorative sense, attracting disapproval for its Protestant overtones that included Luther’s exhortation to ‘preach the Gospel alone’. In contrast to ‘evangelise’ Catholics preferred to speak of ‘mission.’ It is only from the middle of the twentieth century, say the 1950s and onwards, that we see the word ‘evangelisation’ reemerge in Catholic idiom with any vigour. If the ‘new evangelisation’ was a child of the pontificate of John Paul II, and gathered strength and stature as a concept or idea under Pope Benedict XVI, it has reached perhaps not yet maturity but certainly a living presence and tangible dynamism under the leadership of Pope Francis. In Latin America and the Caribbean there are pastoral plans which are ‘distant’, disciplinary pastoral plans which give priority to principles, forms of conduct, organisational procedures… and clearly lack nearness, tenderness, a warm touch. They do not take into account the ‘revolution of tenderness’ brought by the incarnation of the Word. There are pastoral plans designed with such a dose of distance that they are incapable of sparking an encounter: an encounter with Jesus Christ, an encounter with our brothers and sisters. 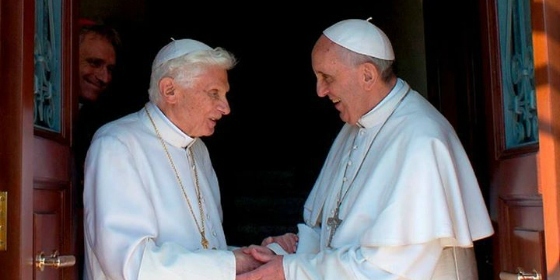 It is apparent that the same ‘revolution of tenderness’ commended to the Latin American bishops in planning for the Church is recapitulated with vigour in the style and letter of Francis’ first exhortation. Apart from the continuing focus on the homily as a key vehicle of pastoral renewal, Evangelii Gaudium includes the same warning of a ‘distant’ and bureaucratic approach to Church reform and planning, ‘a spiritual worldliness’ which can ‘lead to a business mentality, caught up with management, statistics, plans and evaluations whose principal beneficiary is not God’s people but the Church as an institution’ (EG 95). As I read it, Francis intimates that an introverted, managerial and administrative approach to the Church’s life can bring about a neglect for the people of God as church processes end up replacing or even compromising the larger goal of holiness and mission. To draw from the language of Thomas Merton, without due care the ‘cause’ – even a ‘religious’ one – comes to replace concrete persons in their dignity and need of healing, interpersonal bonds and helps to holiness. Those planning for evangelisation and church renewal must, therefore, avoid a sociological reduction of the Church to the status of a commercial enterprise – one in which spiritual fruitfulness is replaced by a concern for ‘efficiency’ and missionary discipleship is reduced to the mere matter of the right ‘technique’. Also to be eschewed is that false elevation of the Church out of history, an abstract ecclesiology that is expressed in the fideistic hope that all will simply fall together and that the Church’s mission will be compelling without our best efforts. Francis makes clear that the Gospel calls forth our human engagement and creativity in the work of God. It is a call to a renewed intent, zeal and commitment to mission that resists all self-satisfaction and smugness among dioceses and parishes. He can say, therefore, ‘pastoral ministry in a missionary key seeks to abandon the complacent attitude that says: “We have always done it this way”. I invite everyone to be bold and creative in this task of rethinking the goals, structures, style and methods of evangelisation in their respective communities’ (EG 33). Finally, in Evangelii Gaudium there is a call for prudence among pastoral workers who are prone to what Francis describes as ‘pastoral acedia’, a dimming of expectation and resolve on account of a variety of factors. These include the pursuit of ‘unrealistic projects’ where pride or ambition overtakes reason, a lack of patience for processes to mature in time, and the aforementioned depersonalisation of the work of the Church in a narrow focus on ‘the road map’ without a consciousness of the journey – those evolving landscapes and human situations to which we are being called to respond in faith. While never speaking of pastoral planning as such, Francis’ exhortation, clearly informed by his experience of the local Church and the ecclesiology of the Aparecida Document (PDF), seeks to guide the Church toward a more intentional, explicitly missionary mode of existence. 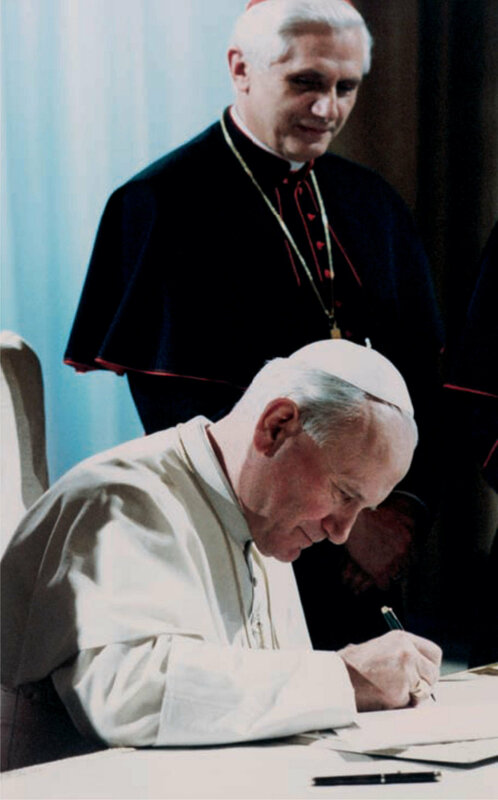 Evangelii Gaudium represents a significant addition to the developing tradition of planning within the Church, supporting as it does a ‘new chapter of evangelisation marked by joy’ (EG 1). As the calendar year comes to a close, thank you to all those who have read my blog over the past first year of its life. I’ve deeply appreciated your comments, critiques and responses and wish you, your families and communities a peaceful and holy Advent and Christmas. Until the New Year, best wishes and every blessing, Daniel A. 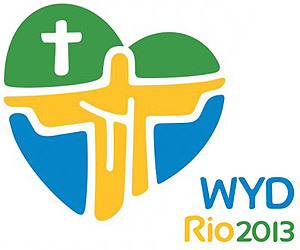 World Youth Day has arrived. This time around it will take place in Rio de Janeiro, Brazil, between the 23-28th July, 2013, the 28th such event in the official count. 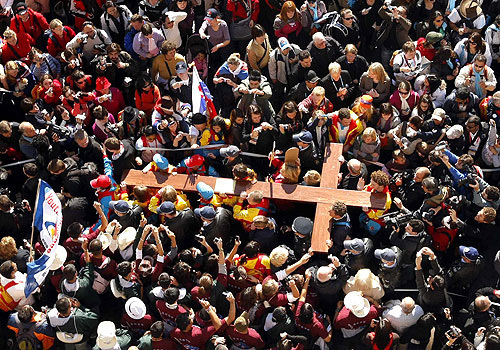 It will see the first South American pontiff greet hundreds of thousands of young Catholics from around the world, bringing attention to the Church in the Americas and the surrounding social and political milieu to which Pope Francis will no doubt speak. 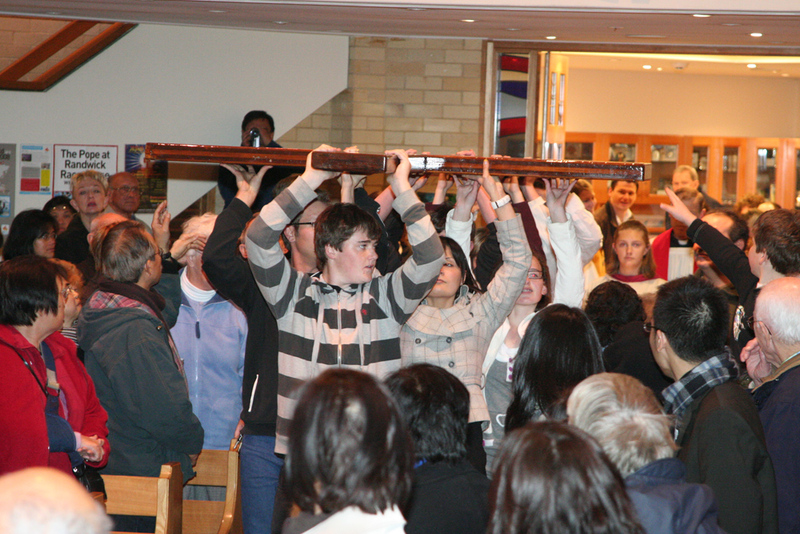 It is no revelation that opinions differ about the value of World Youth Day, both here in Australia and abroad. In my experience it tends to be fairly evenly split between those who uphold the event as a transforming experience for the young and the cities and nations which host them, while others dismiss World Youth Day as an expensive jamboree that proves of little lasting significance for the ordinary life of the Church. I think it can be recognised that this triennial – or as it tends to be now, biennial – gathering does in fact shape young Catholic imaginations about the catholicity of the Church, understood as a reference not to the mere geographic reach of the Church but the inherent variety of expression or styles that it contains and embraces. More fundamentally, it offers the young an experience of pilgrimage, a tradition reaching back to first centuries of the Church’s history (this practice has largely been rejected by Protestantism due to the devotions and relics often associated with such travel). What has been said of the life of the French theologian Yves Congar can be affirmed more generally, “a journey only becomes a pilgrimage through consciousness of the goal that gives meaning to the way”. Pilgrimage calls for interior work that brings together an outward practice with the person and message to which such an undertaking intends and World Youth Day provides just such an opportunity for such growth in faith. Of course, the real impact of World Youth Day – which epitomises on a grand scale the events-based approach to youth ministry which is becoming more popular in dioceses and even our parishes – depends largely on the receptivity of participants themselves. and then there are others who are just along for the ride, perhaps because friends are going or their parents were prepared to pay for World Youth Day but not a summer in the Bahamas. These are the kids you find playing handball or loitering outside during the catechetical sessions; they have a looser affiliation with the Church and low levels of religious practice. As for the cities that host World Youth Days, the responses are now familiar. The initial announcement of the event is normally greeted with negativity (as it was in Sydney and has been the case for Rio which hosts two other world events in as many years), there are predictable fears of disorganisation and a cost blowout, but all this eventually gives way to a warmer reception as the prospect of a civic apocalypse recedes. At first [Australians] looked at this World Youth Day with great scepticism because it would obviously cause a lot of bother and many inconveniences to daily life, such as traffic jams etc. However, in the end – as we also saw in the media whose prejudices crumbled, bit by bit – everyone felt involved in this atmosphere of joy and faith; they saw that young people come and do not create problems of security or of any other kind, but can be together joyfully. (L’Osservatore Romano, 13-20 August 2008). Catholics, too, can be tempted to take the line of scepticism or cynicism towards World Youth Day with the concerns being twofold: accessibility and impact. 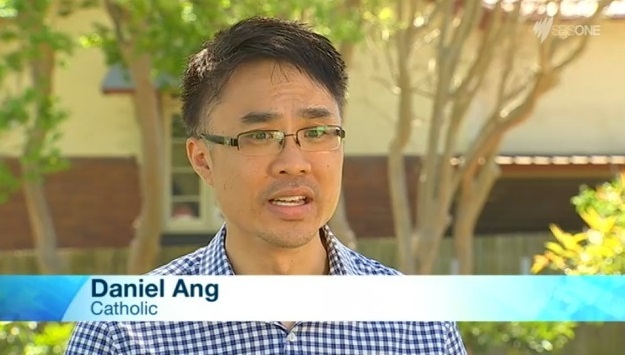 Given that for Australians World Youth Day involves a substantial airfare, insurances and accommodation, there can be concerns that the event is not only unsustainable for families, local churches (dioceses) and their parishes but that the expense involved restricts access to a privileged few unless participation is heavily subsidised. On average, the cost of attending World Youth Day from down here in the Antipodes ranges between $5,000-8,000 depending on destination and it is unlikely to get any cheaper in years to come. Hence the need for concerted fundraising to get people there. The second concern is that World Youth Day has little impact or effect on the lives of young people let alone the dioceses and communities from which they come. 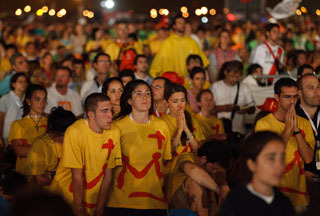 The two polarised views we hear about the effect of World Youth Day – the conviction that absolutely each and every participant becomes a fully-fledged disciple of Jesus Christ following the event, and the opposite belief that no one is moved a jot – underscores the need for research in this area. 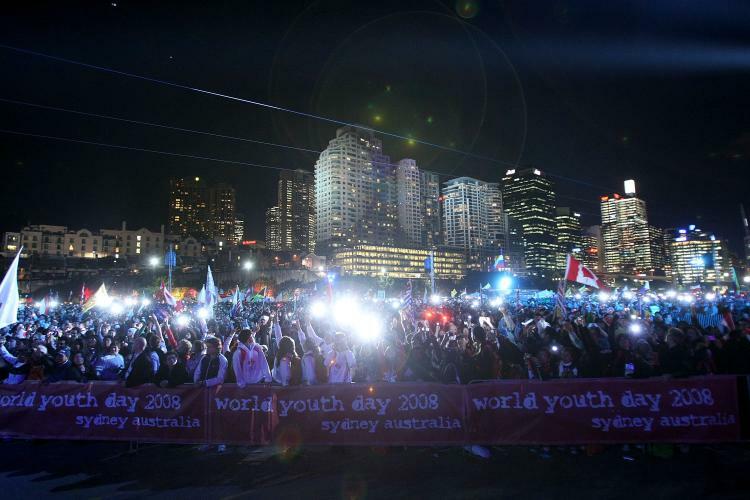 As a nod in that direction, study of World Youth Day Sydney has demonstrated that the impact of the event on a believer has much to do with their starting religious point. Those starting from a lower point of religiosity – there more for the social than the spiritual aspects of World Youth Day – tend to report some increase in confidence in their faith (“I’m not embarrassed now to let others see that I am a believer”, “I’m now more interesting in learning about my faith”). For those with a stronger religious starting point, World Youth Day often serves as a catalyst to make an even more decisive commitment to their faith (“To accept Jesus as Lord of my life”, “Now I want to live as a disciple of Jesus, a witness to Him”). Notably, it is usually from among those in the second group that you’re likely to hear World Youth Day described as a “life-changing experience”. Perhaps it is because these young people are already devout that this large-scale, Spirit-filled event fires their energy and consolidates their identity in ways that just aren’t experienced by those of lesser conviction, hence the claims to its power of conversion. You can read more about the impact of World Youth Days in this session of the Annual Meeting of the Society for the Scientific Study of Religion (2009), entitled “Shoring up the foundations: the large-scale international youth festival as a strategy for the retention of Catholic youth”. Most of us with involvement in youth ministry would view World Youth Day in positive terms while at the same time acknowledging it is no silver bullet for outreach to and engagement of youth. For those close to the ground in ministry with youth, is the events-based approach – epitomised by World Youth Day – the way to go? As intimated, it has certainly become a dominant model in dioceses and some parishes, and the advantages are apparent. Youth ministry programs and groups often fail or succeed on their ability to attract a “critical mass” of attenders. No young person wants to go to an event with only a handful of participants. In the youth ministry game, for better or worse, numbers matter. So, rather than the week-to-week youth program of old, some parishes and dioceses are favouring the occasional, bigger budget, showcase event. The downside of this approach is that it can lead to a rather lazy form of youth ministry where one-off events are thrown on the parish or diocesan calendar without any thought to the faith development of young people over the medium to long term. Unfortunately, this is all too common today and the lack of continuity and personalisation of youth ministry can lead to a loss of potential young disciples who were open, maybe even seeking but who never quite found a place to land. While large youth events make everyone feel good and may serve the youth minister well in terms of visible accountability (‘proving’ the position is justified), the capacity of such gatherings to bring about actual growth in faith can never be assumed. People turning up doesn’t mean people ‘turning on’ or people ‘turning around’. Holding an increasing number of youth events may actual divert energy from more intimate forms of ministry which may better generate disciples and help identify future leaders than the event-driven model. While parishes do not hesitate in organising and funding services and outreach to the aged, primary school aged children and other distinct segments of the community, they often need real encouragement in responding to adolescents and young adults. One would have thought evangelisation and pastoral care admit of no exceptions. As I’ve suggested in a previous blog, our parishes so often want these young people for their energy, witness and the hope that they bring to a greying Church but young people will not be attracted to communities that show no life, enthusiasm or generosity in themselves. I maintain that the absence or presence of young people in the life of the Church is, in part, a function of the vitality of its adult members whom they will one day become. All in all, as a recurring feature of the Church’s outreach to youth, World Youth Days should be commended and supported. Of course, cynicism within and beyond the Church about this international event will continue to abound. However, cynicism is often a buffer against personal commitment and the folly of hacks and commentators who often make little effort themselves in this area of the Church’s life. An alternative to cynicism is hope and World Youth Day brings tonnes of it. As for the next World Youth Day? 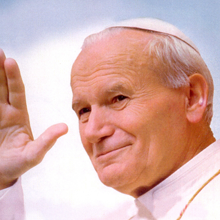 The safe money is on Krakow, Poland, given John Paul II’s impending canonisation and his status as the originator of the World Youth Day events. 2015 also marks the 10th anniversary of the pontiff’s death so we could see the next World Youth Day a little sooner than expected. World Youth Day has been held in Poland just once before, in 1991, hosted by the southern city of Częstochowa. 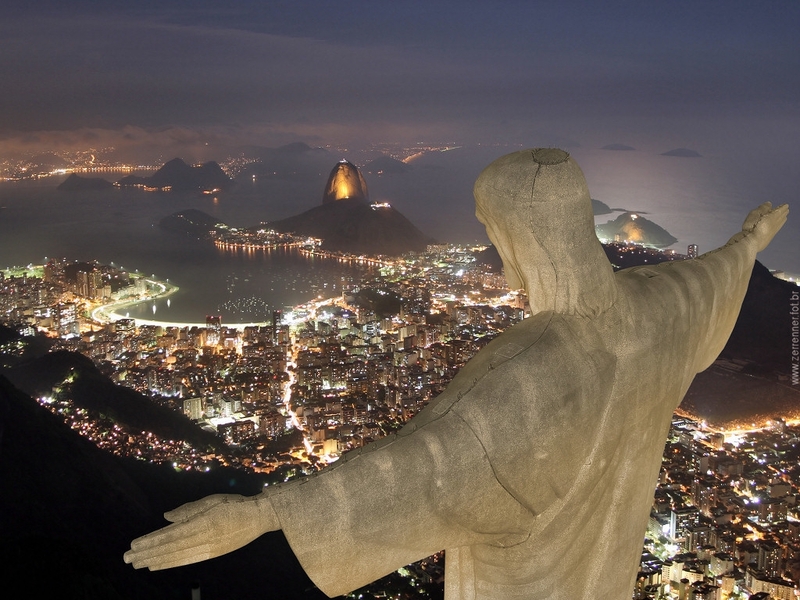 As a local plug, you can read about the experiences of pilgrims in Rio from my own Diocese of Parramatta at their blog. Don’t hesitate to share your own views on World Youth Day and comment on how it might be better supported and integrated here in Australia.